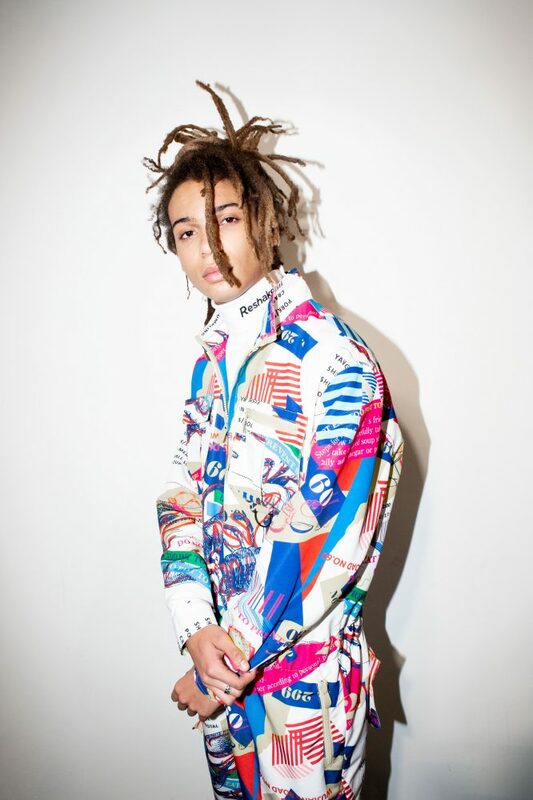 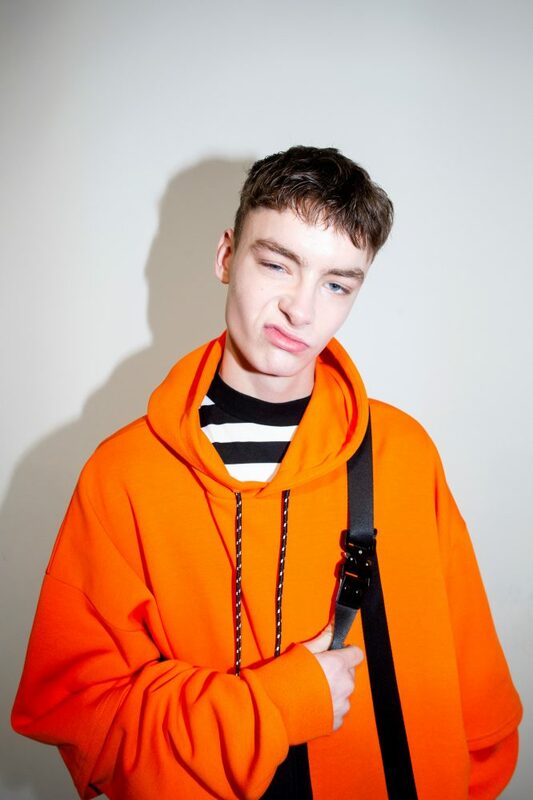 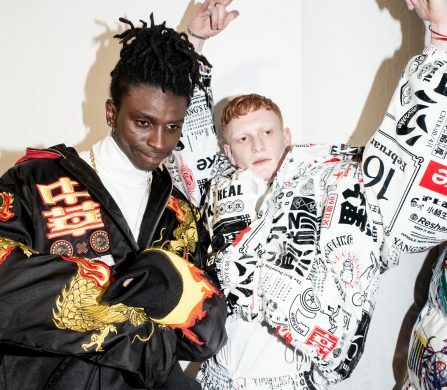 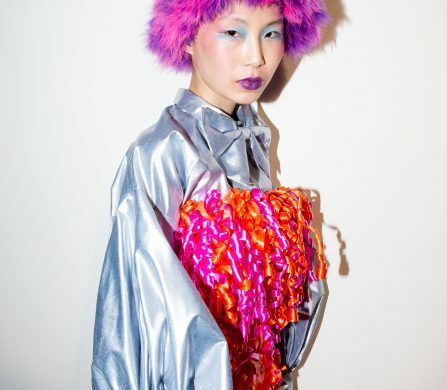 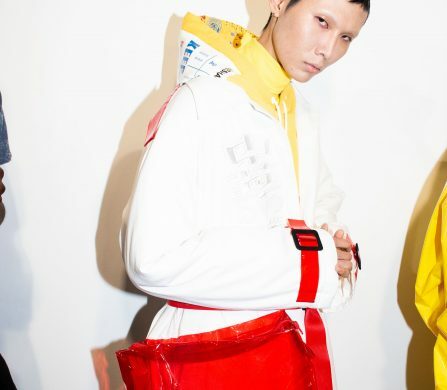 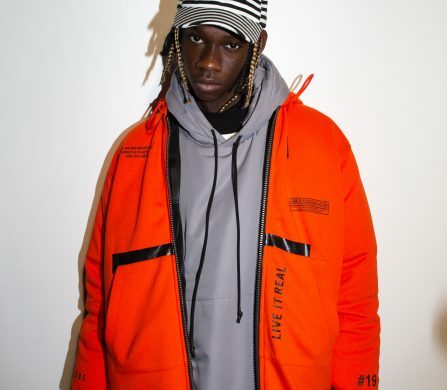 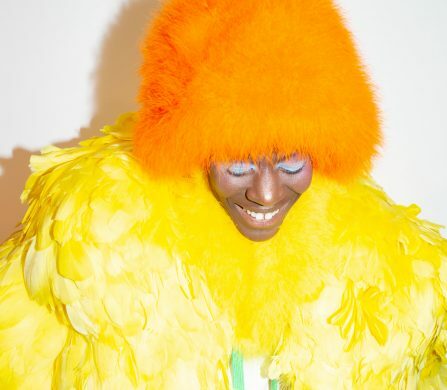 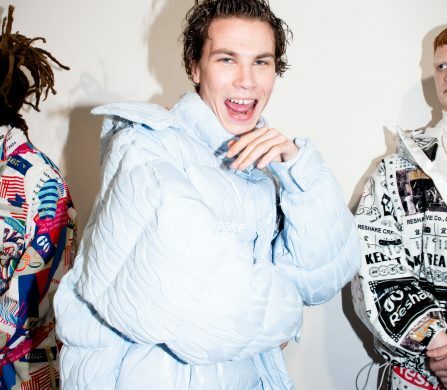 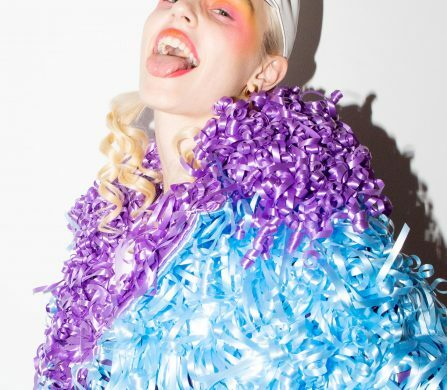 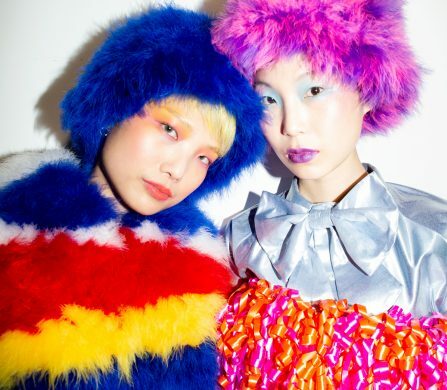 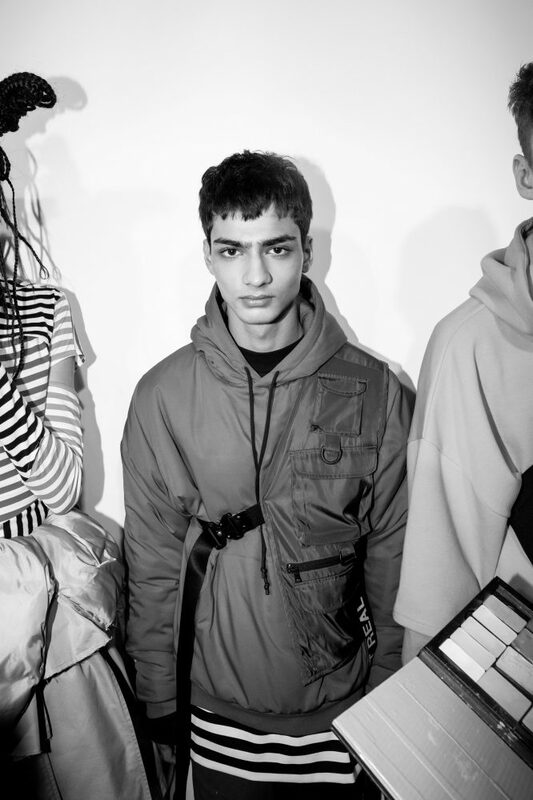 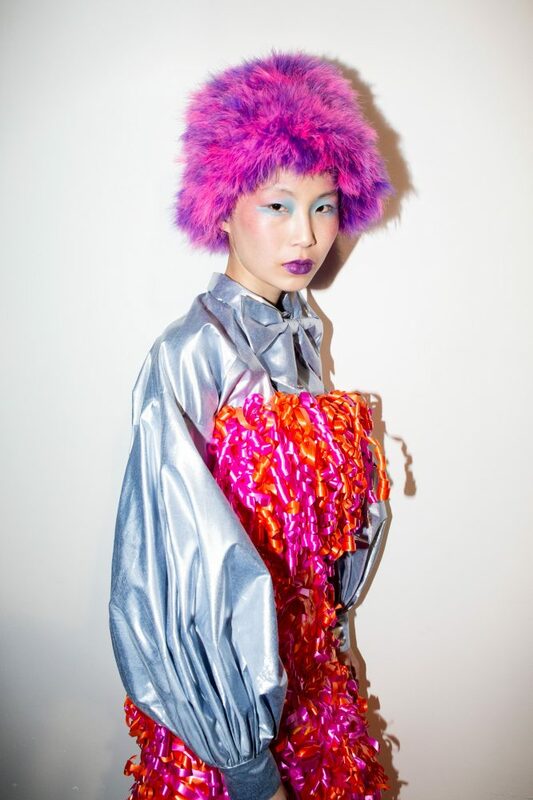 As you probably know if you’ve been following our London Fashion Week coverage, this year has been a flurry of colour, big personalities and new styles. 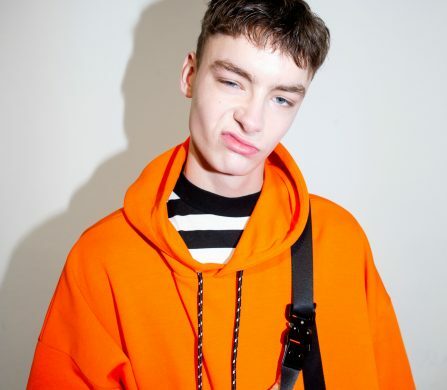 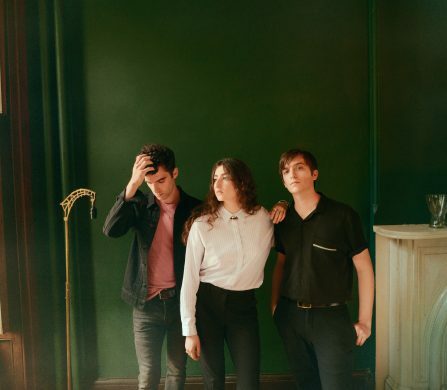 For this series, photographed by Jordan Eisbjerg, we’re continuing our explorations backstage to get glimpses of what’s to come out of London and beyond. 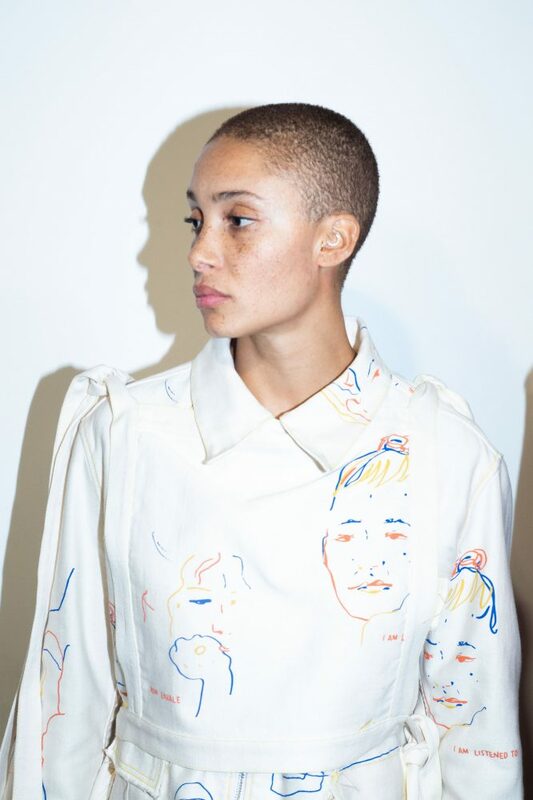 First on our list is Bethany Williams. 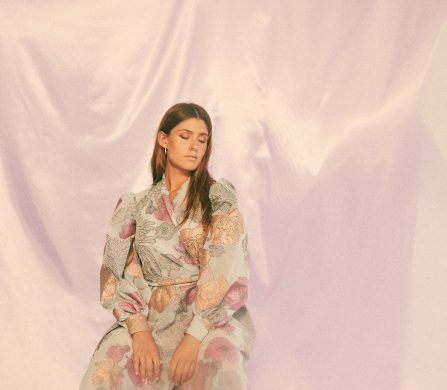 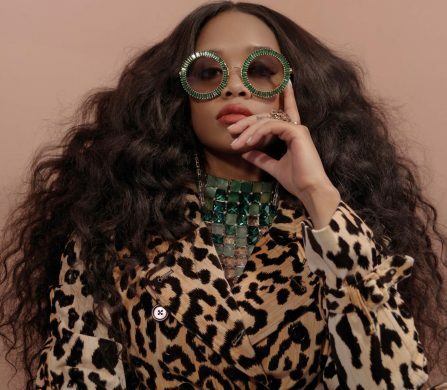 Sustainability has been a buzzword in the fashion world as of late, but for Bethany, it’s about more than just having a “sustainable” label on her collection. 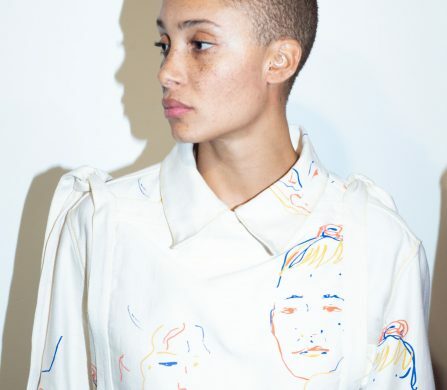 Outside of the fashion world, Bethany works in food banks, homeless shelters and with other community outreach programs to better the world. 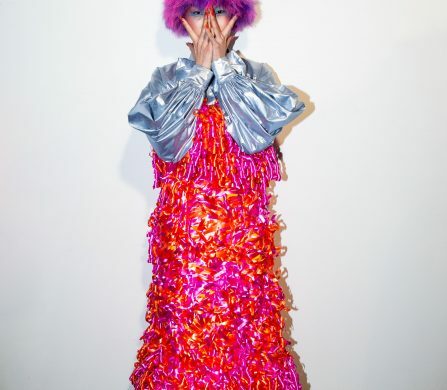 All of her fabrics and materials are recycled, and her pieces are often crafted with the assistance of charity groups – in all cases, a portion of the proceeds are donated back to charity. 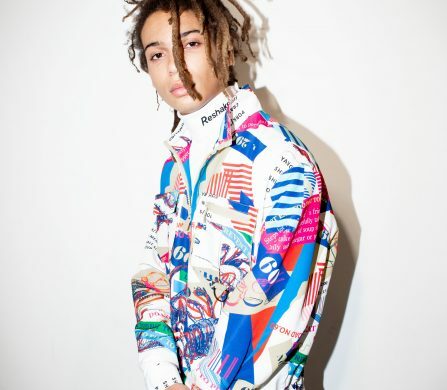 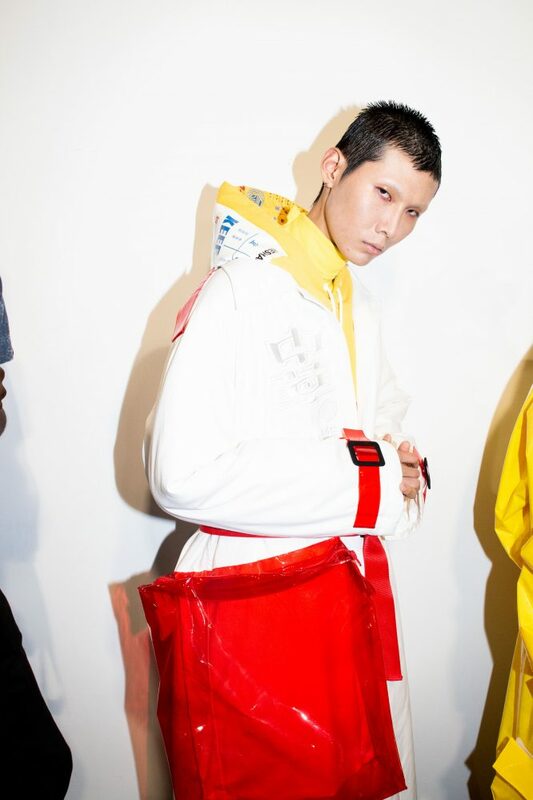 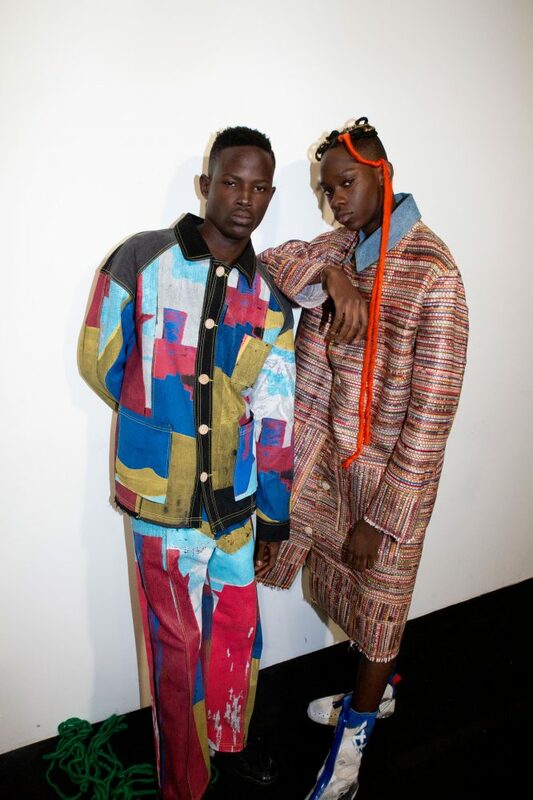 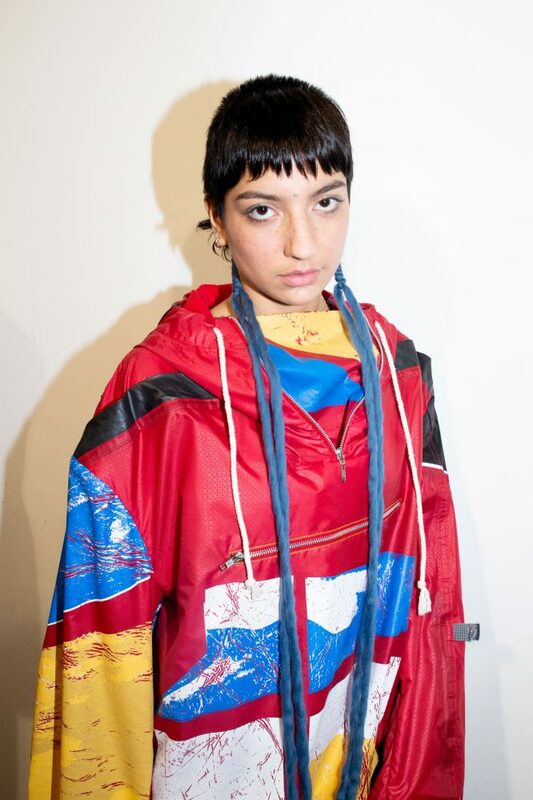 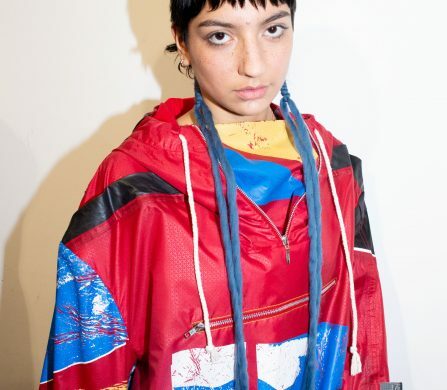 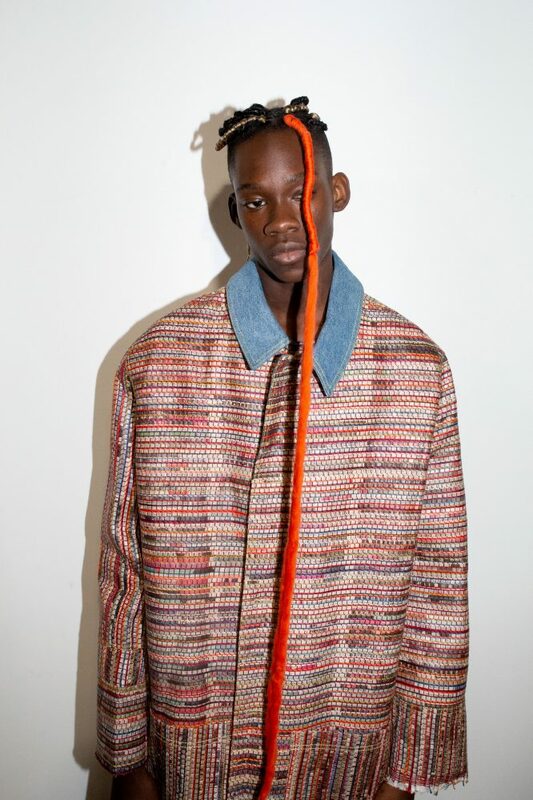 This collection, called “No Address Needed to Join”, is also made from organic and recycled materials, with bright reds, blues, and yellows forming upscale fashion with a heavy street influence. 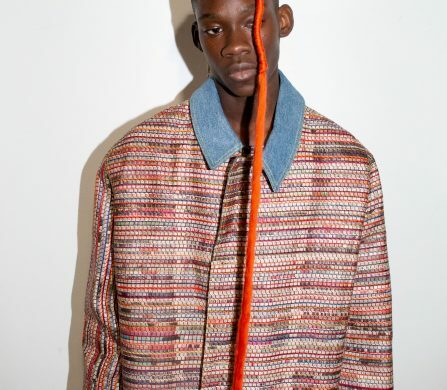 For her efforts, Williams was presented with the Queen Elizabeth II Award for British Design at this year’s London Fashion Week. 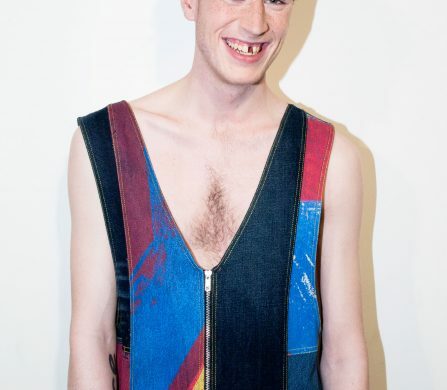 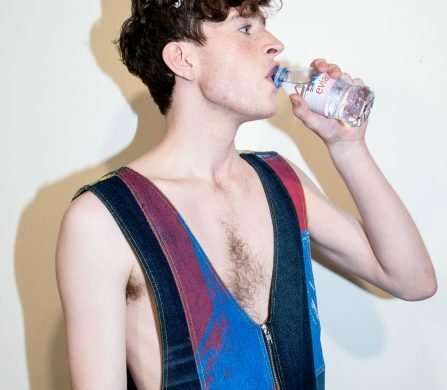 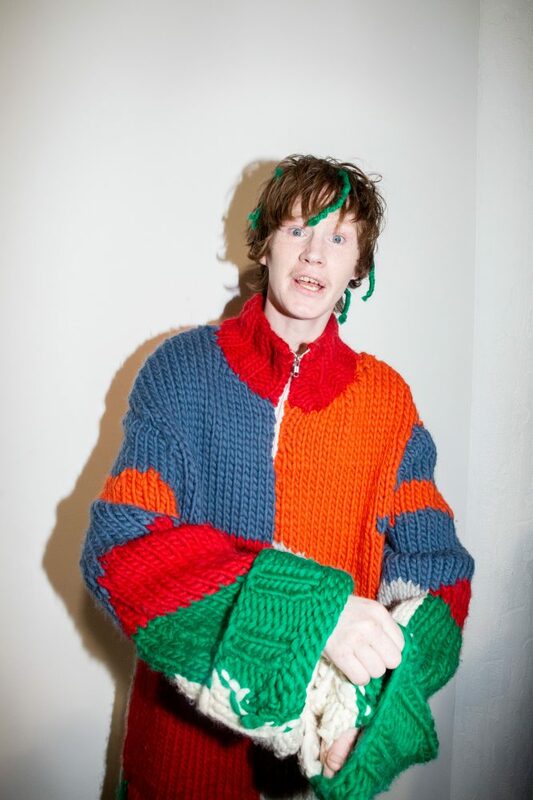 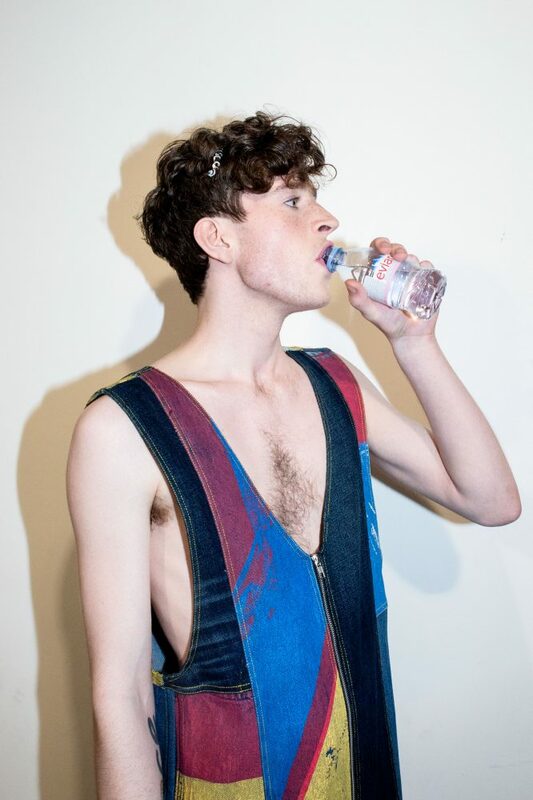 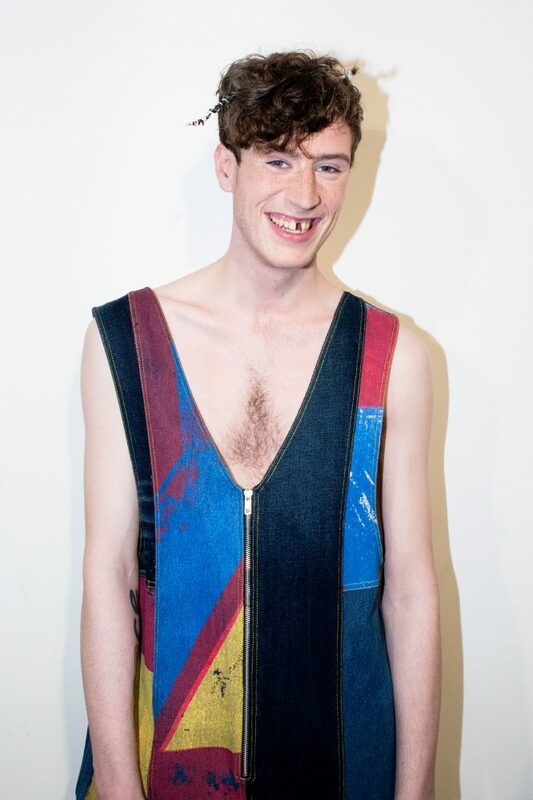 The first designer we’re featuring as part of this year’s On|Off showcase is Colin Horgan. 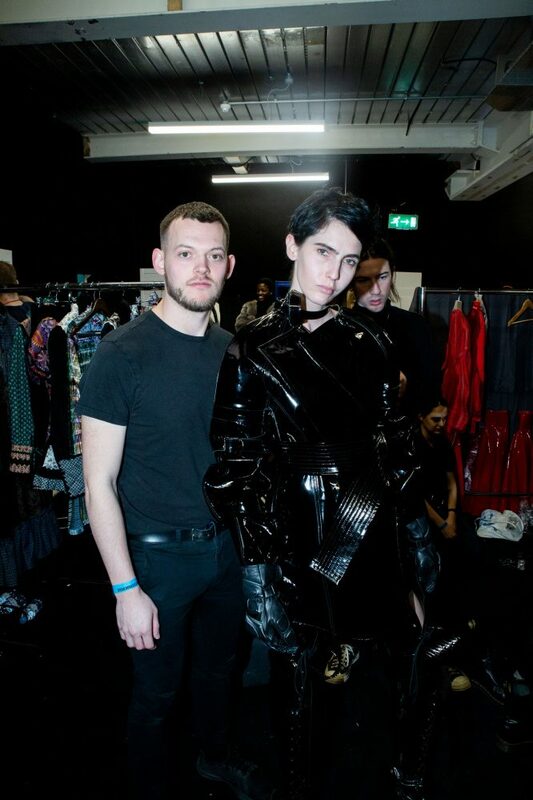 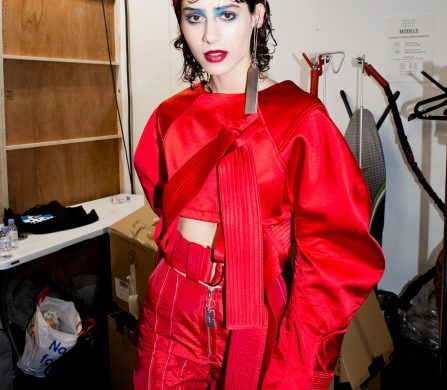 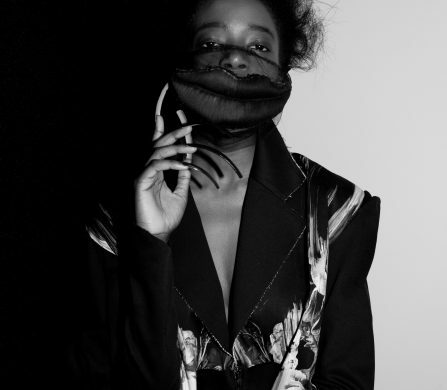 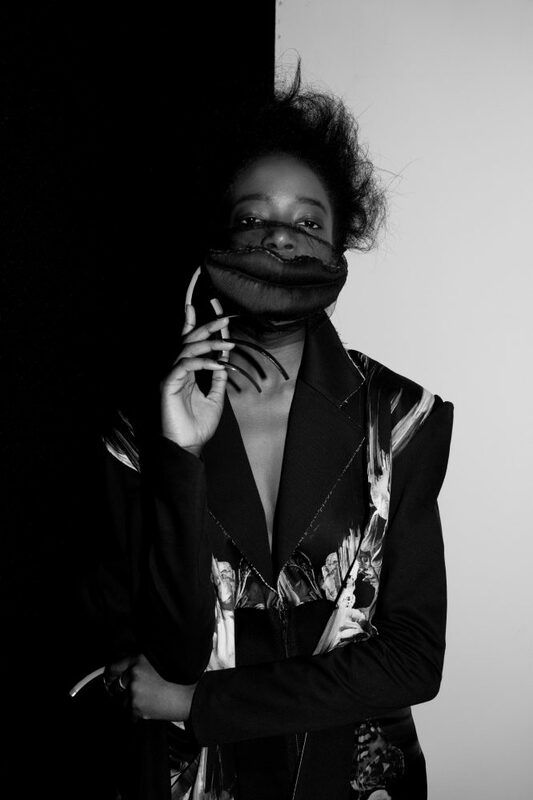 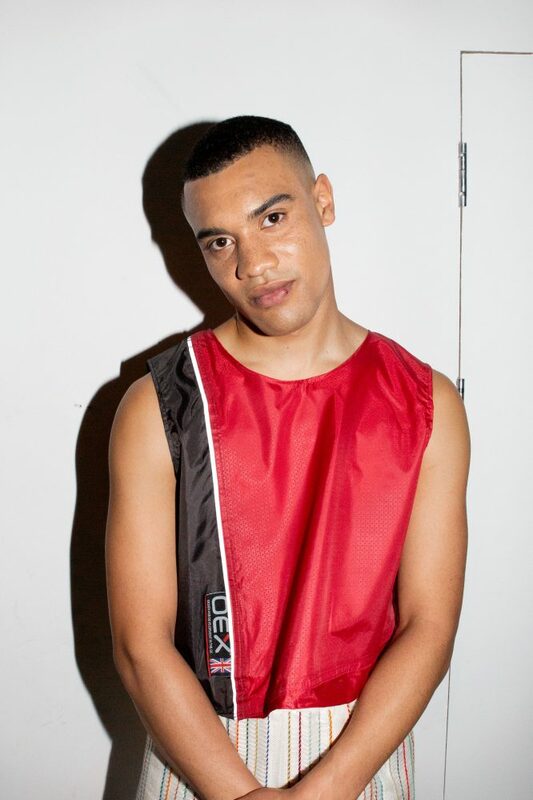 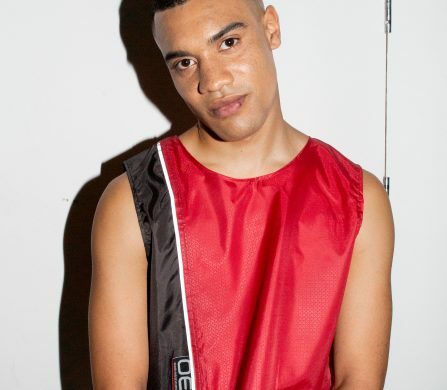 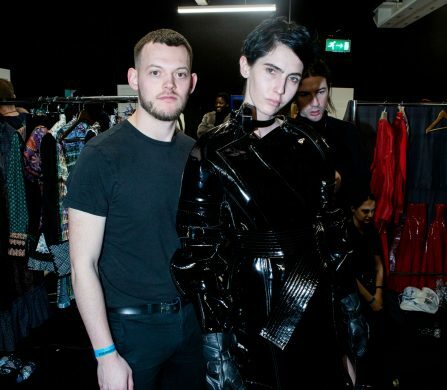 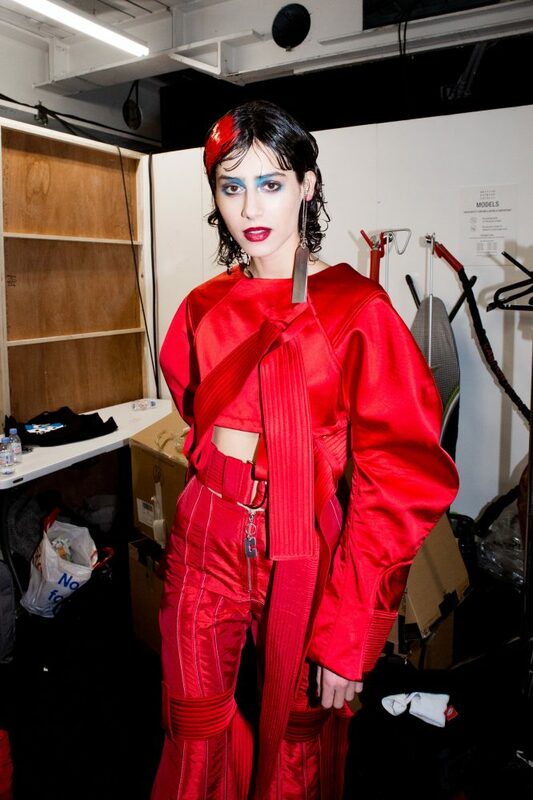 Horgan is a womenswear designer based in London, and his work features long, lean designs with plenty of angles and shine, giving off a powerful and confident energy. 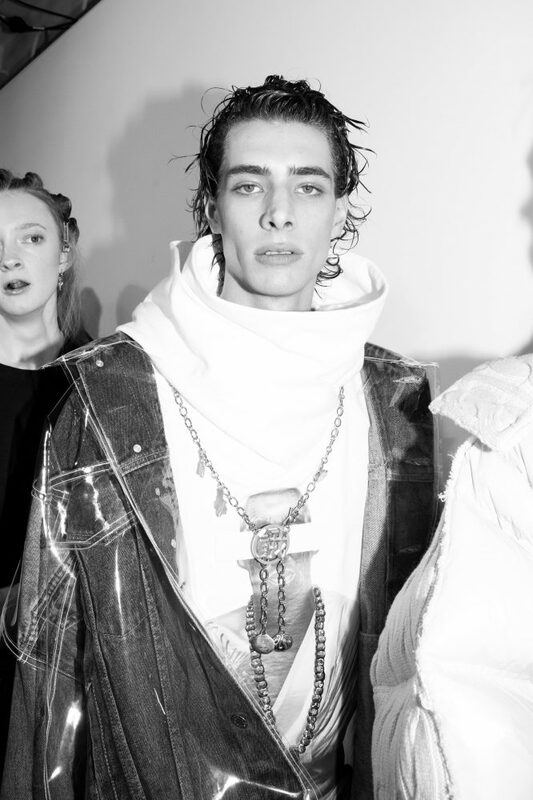 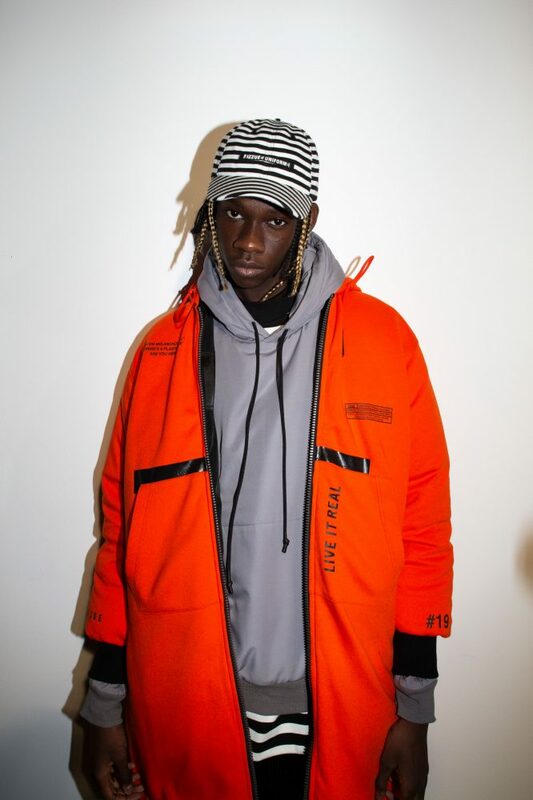 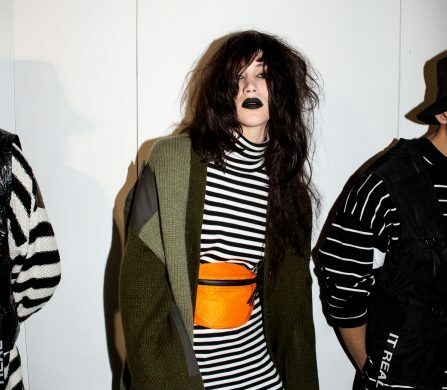 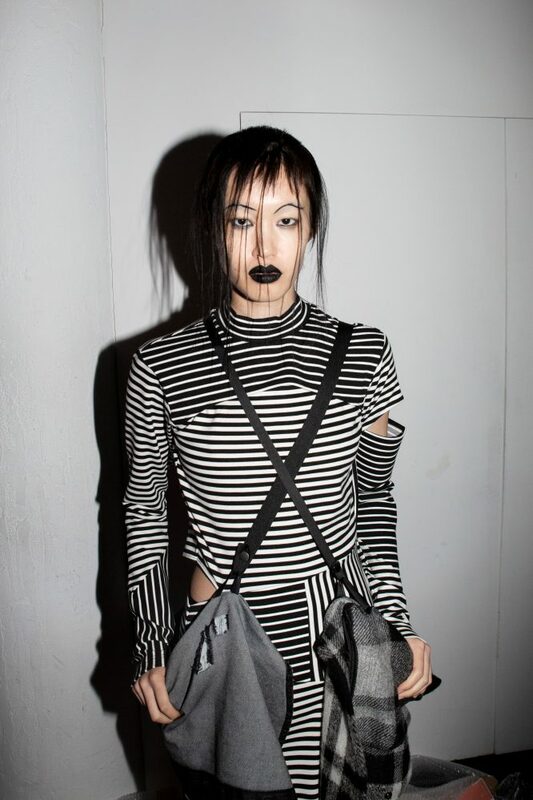 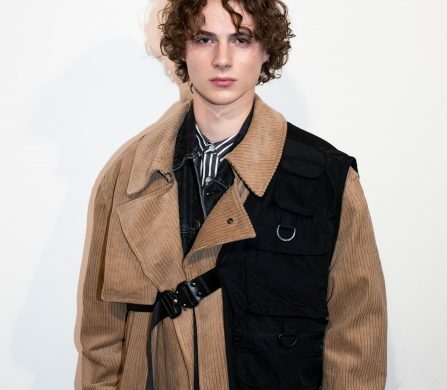 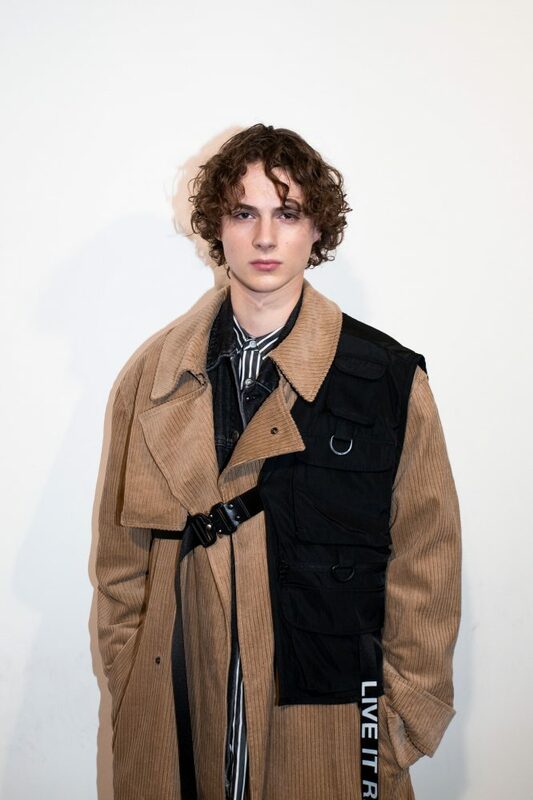 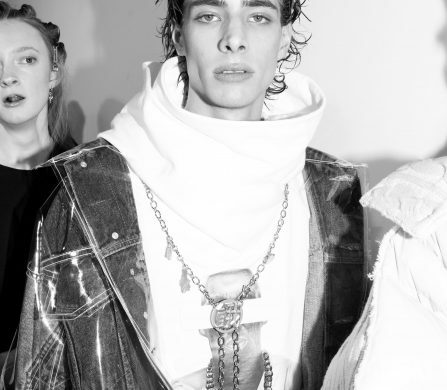 At On|Off, he offered us a taste of what he’s been up to: collars, wide belts, industrial and monochromatic pieces with vibrant highlights. 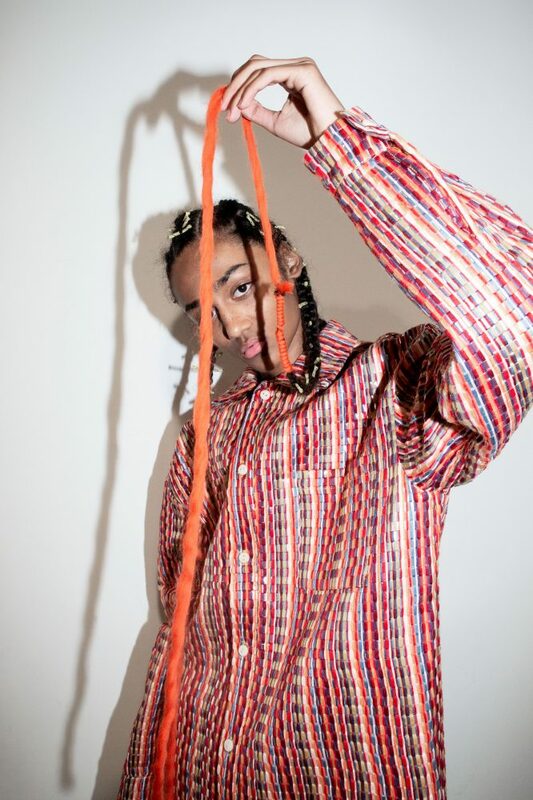 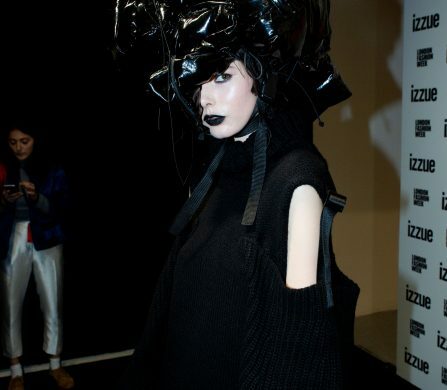 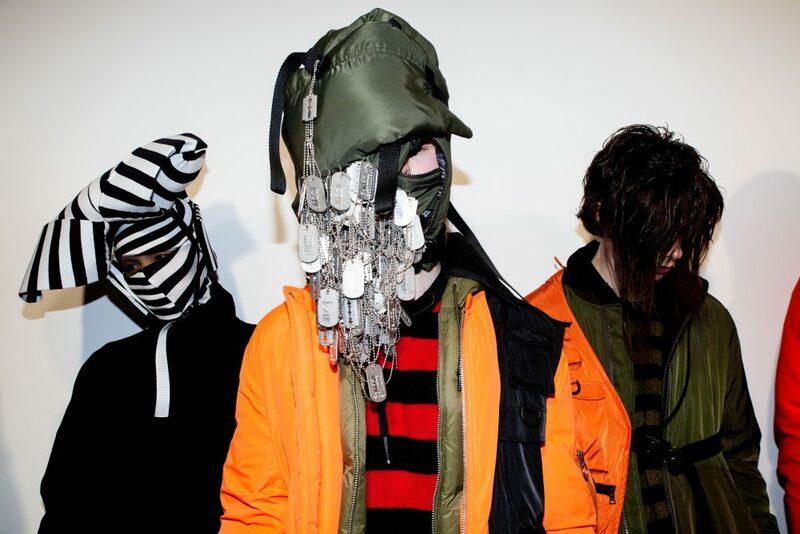 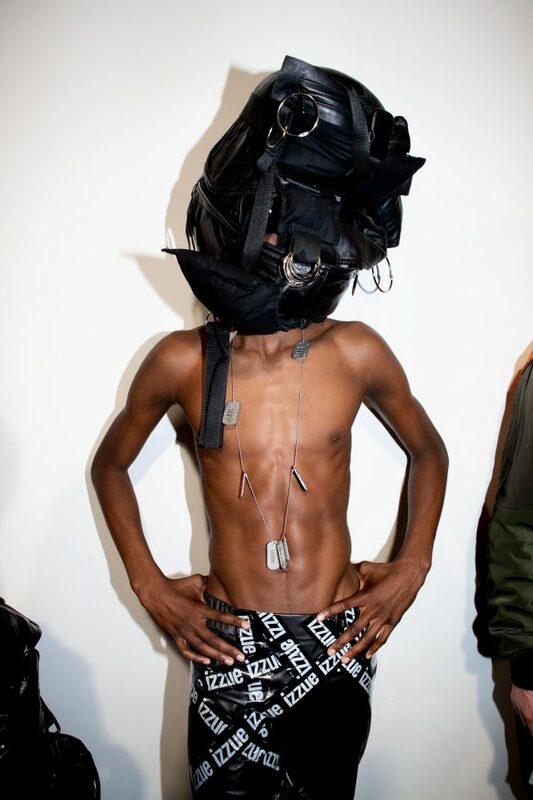 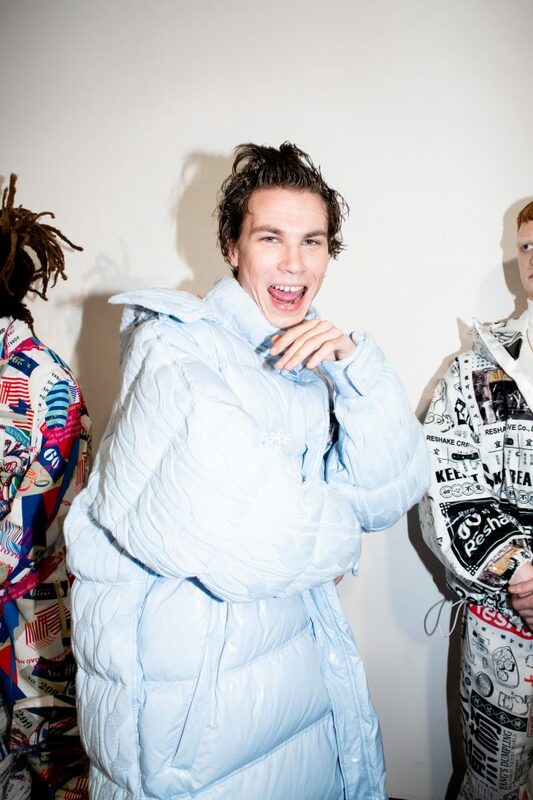 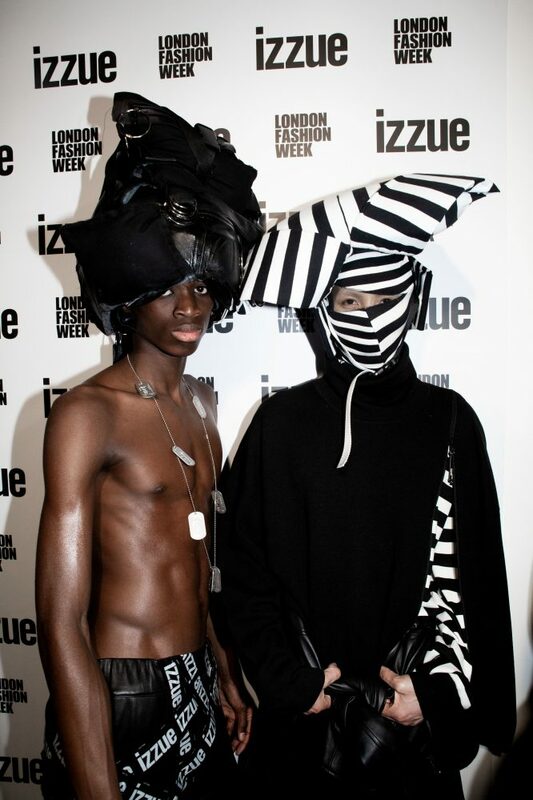 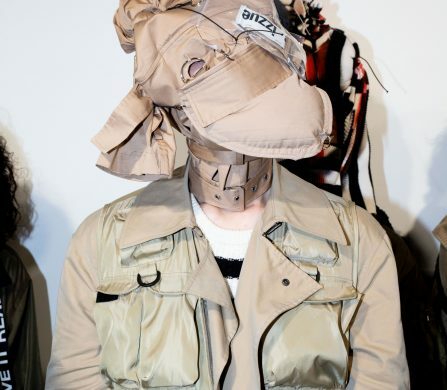 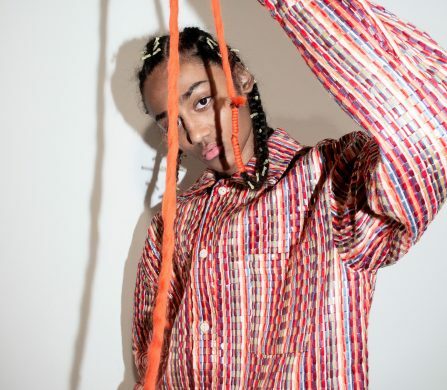 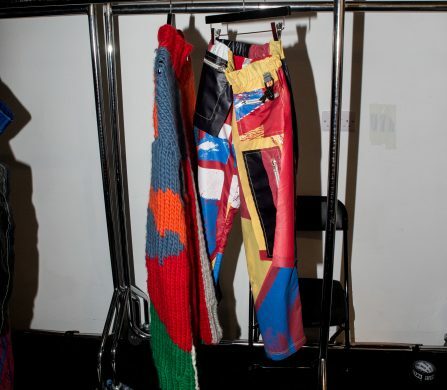 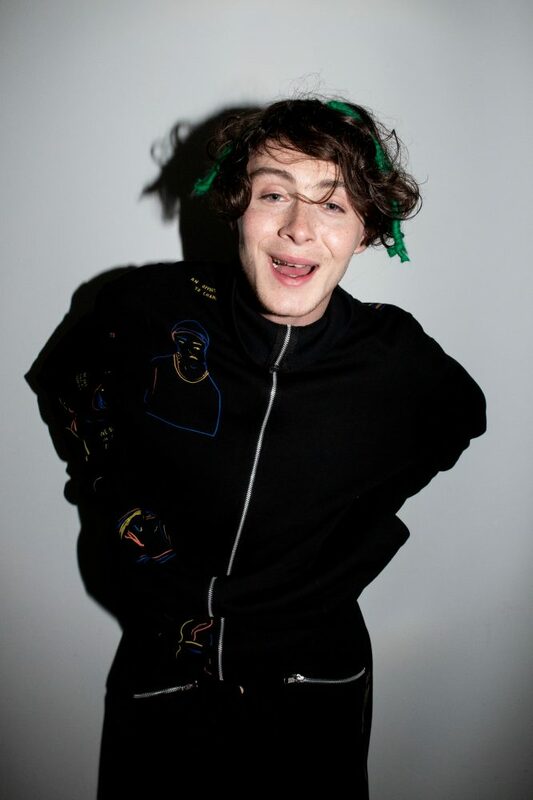 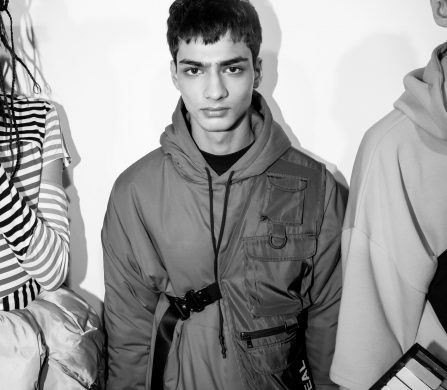 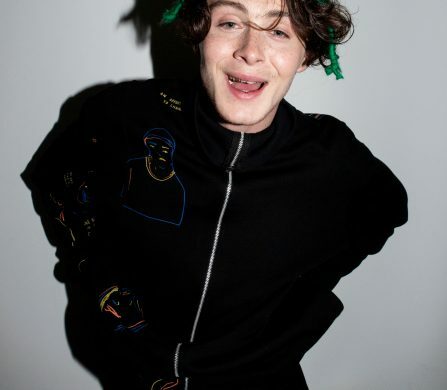 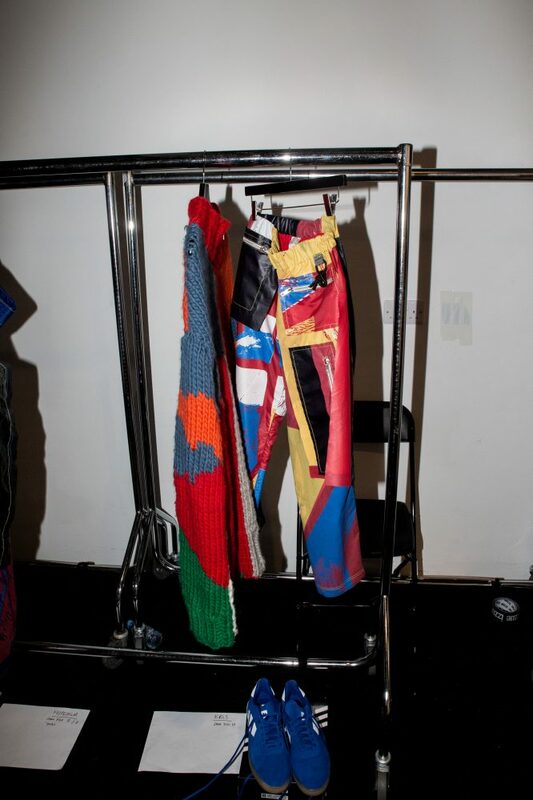 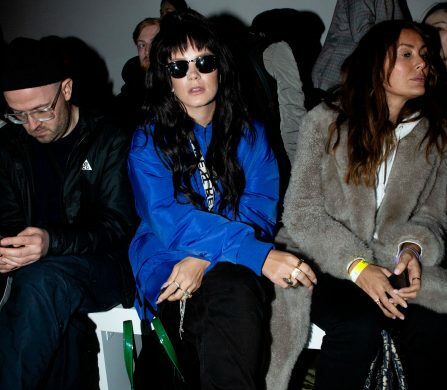 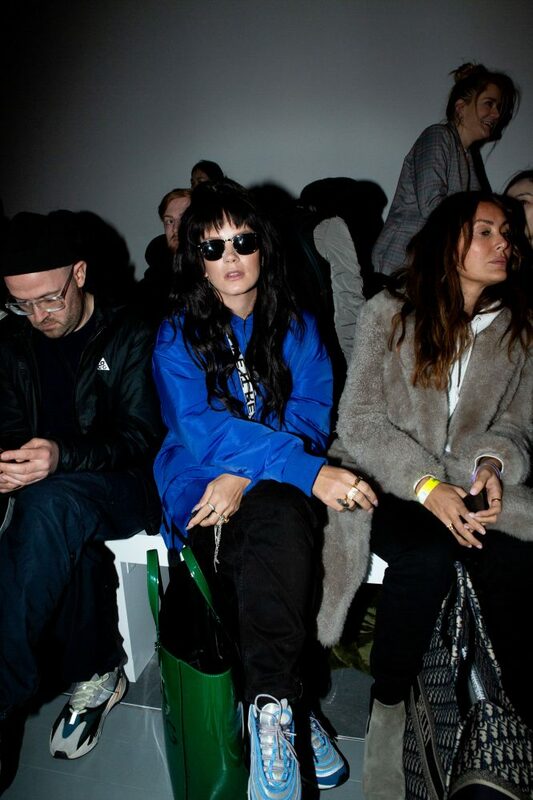 Also participating in On|Off was IA London, a British avant-garde fashion brand offering both menswear and womenswear. 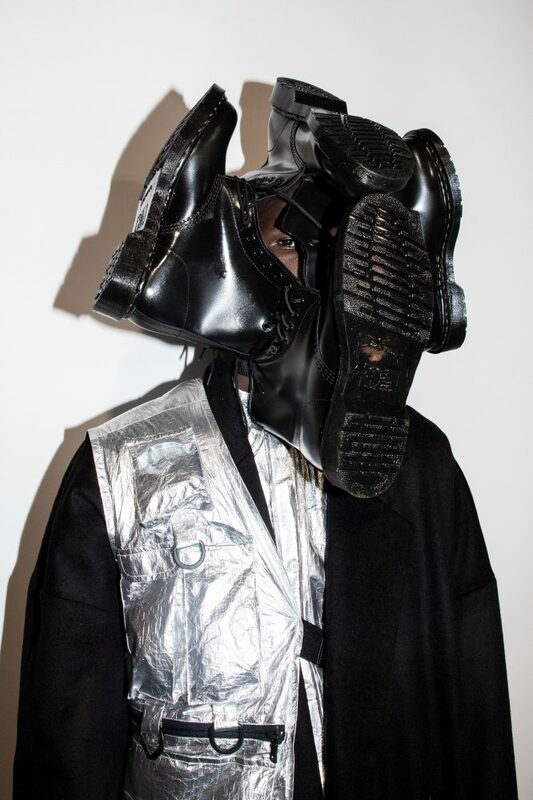 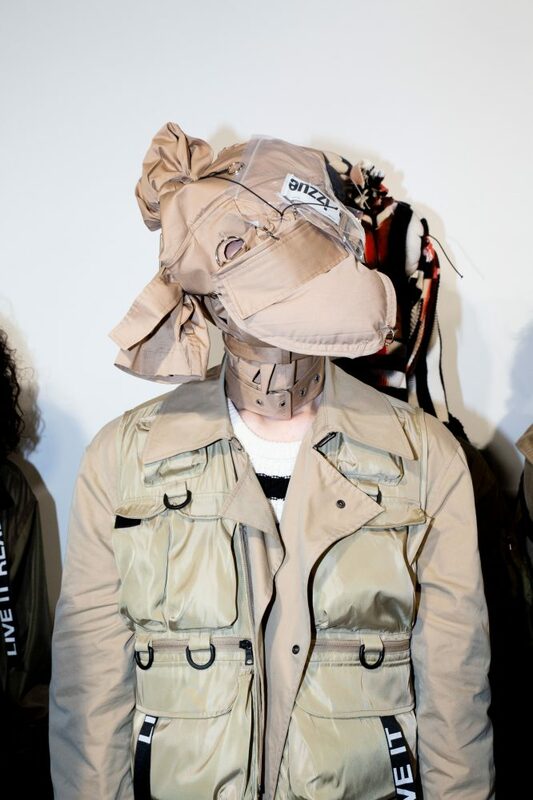 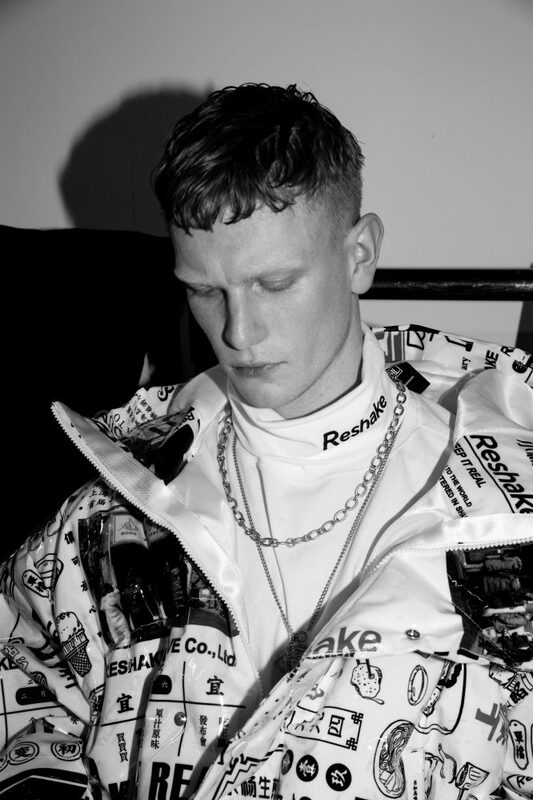 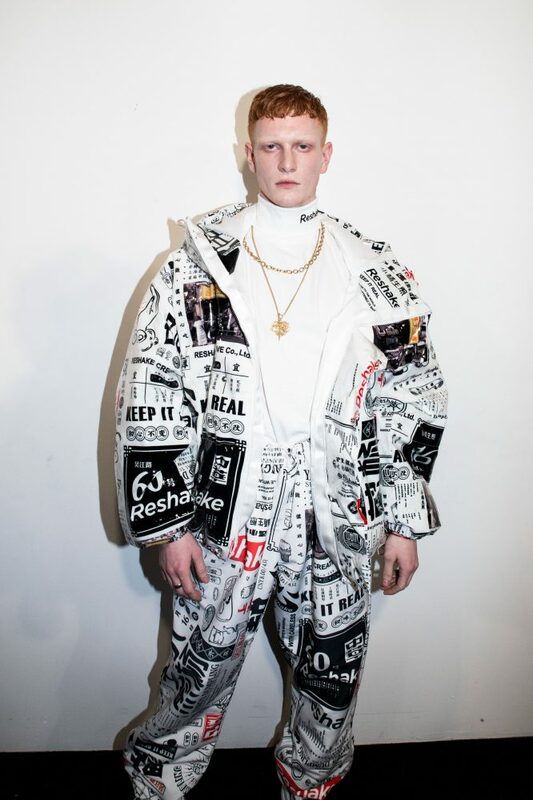 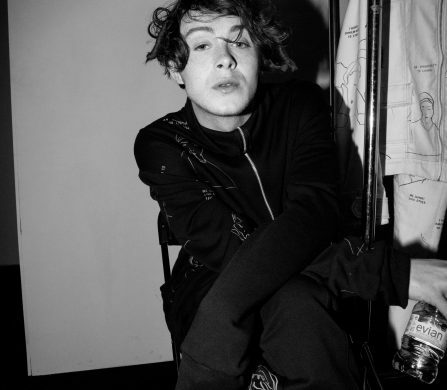 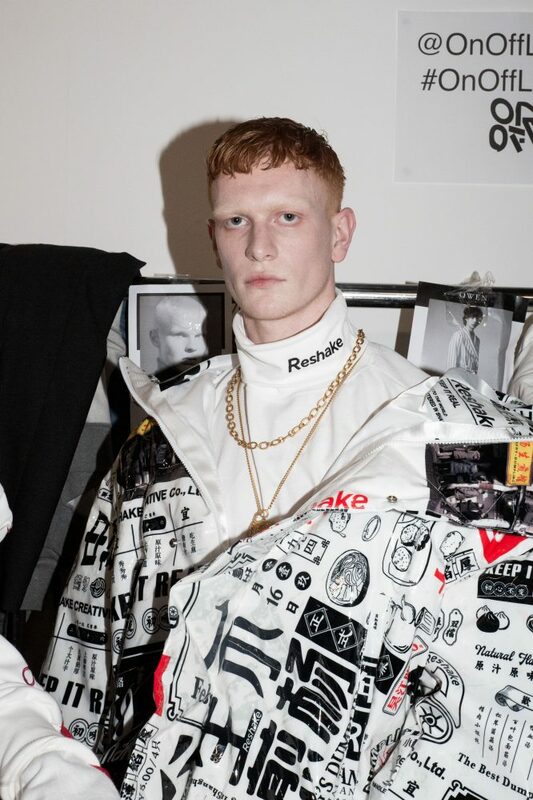 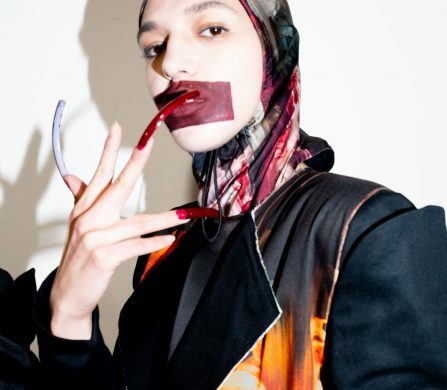 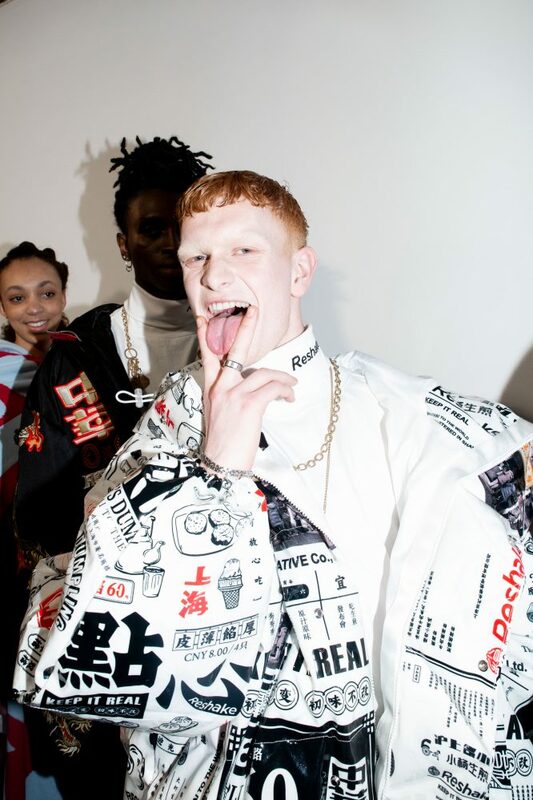 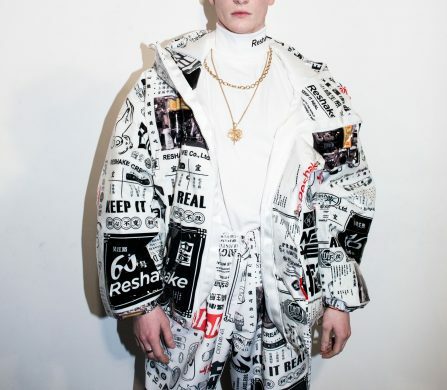 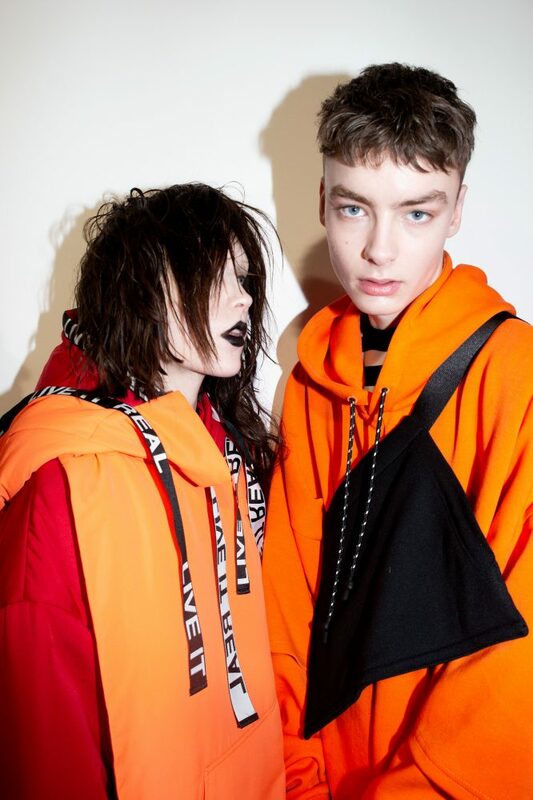 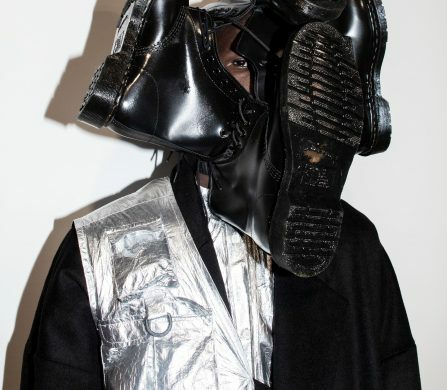 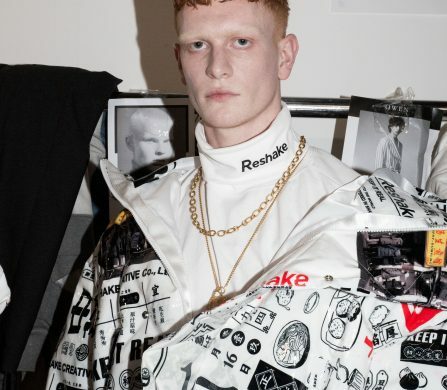 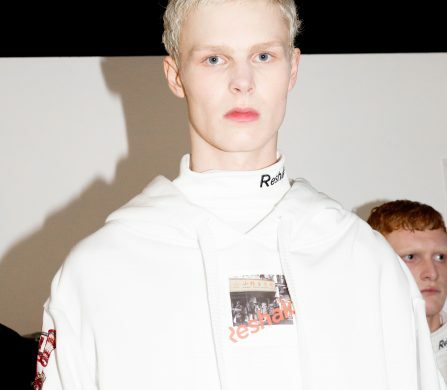 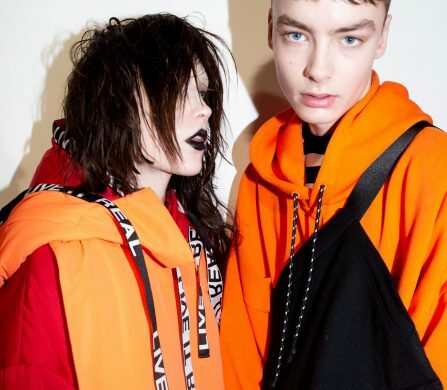 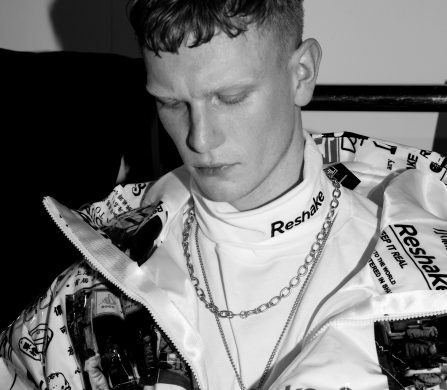 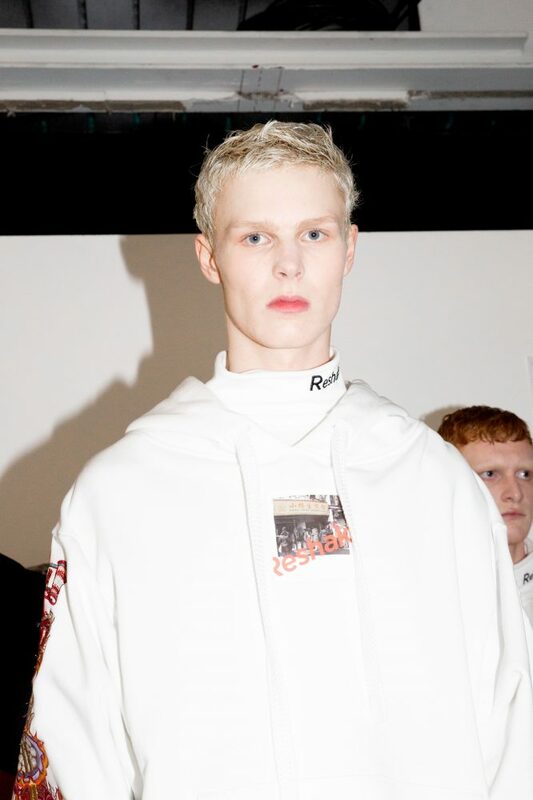 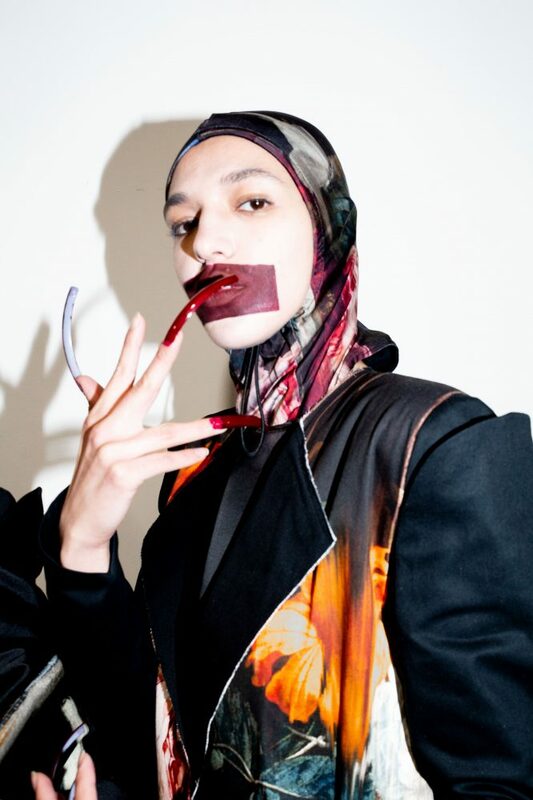 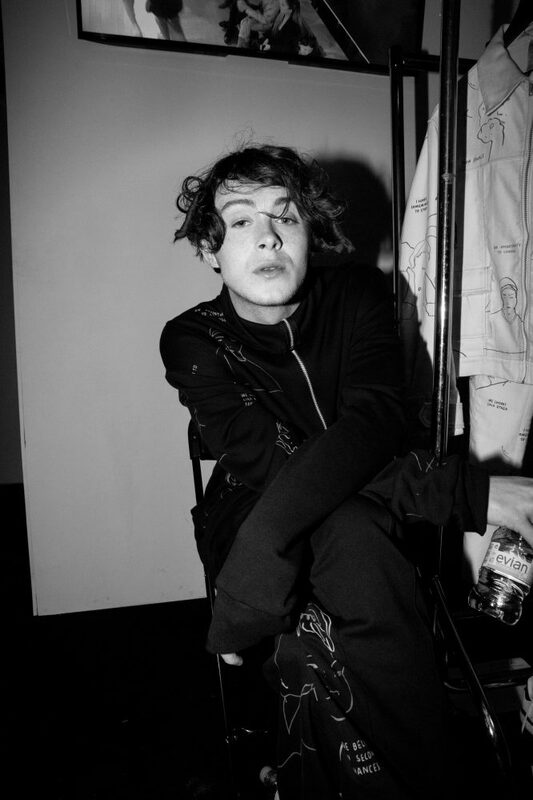 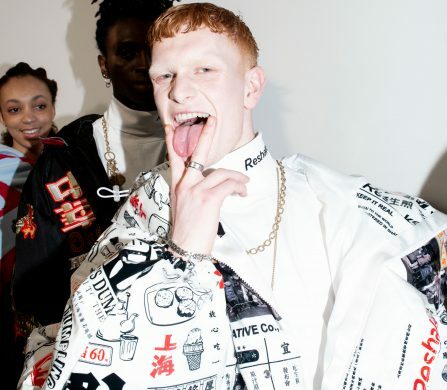 Defining itself as “the home of wearable image,” IA London brought LFW to morbidity: the brand wanted to present outfits it would wear at its own funeral. 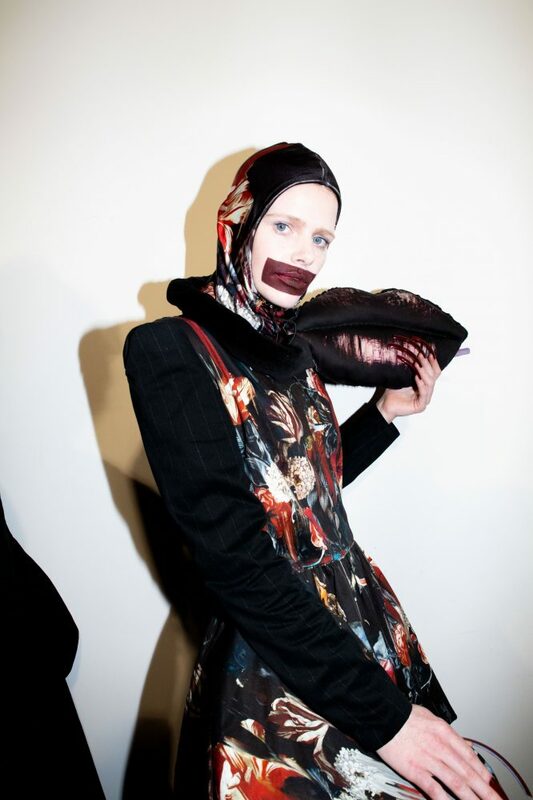 This included black jackets, dresses and more, with a distinct focus on the mouth. 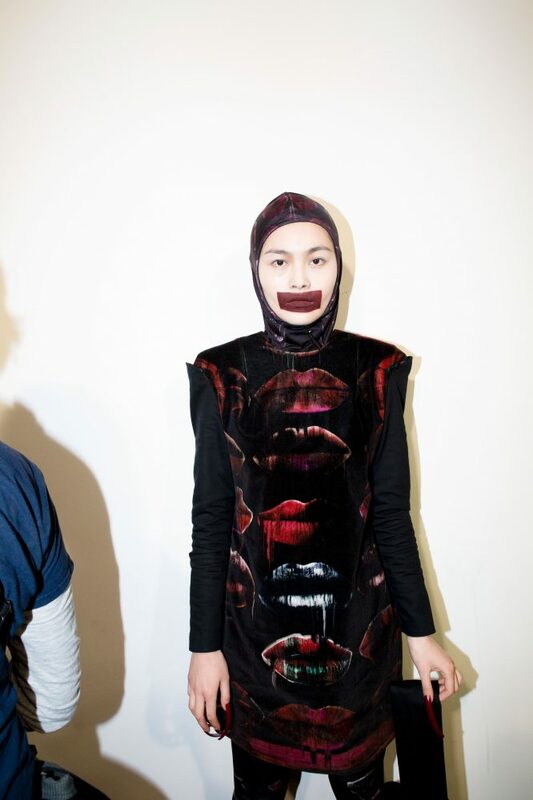 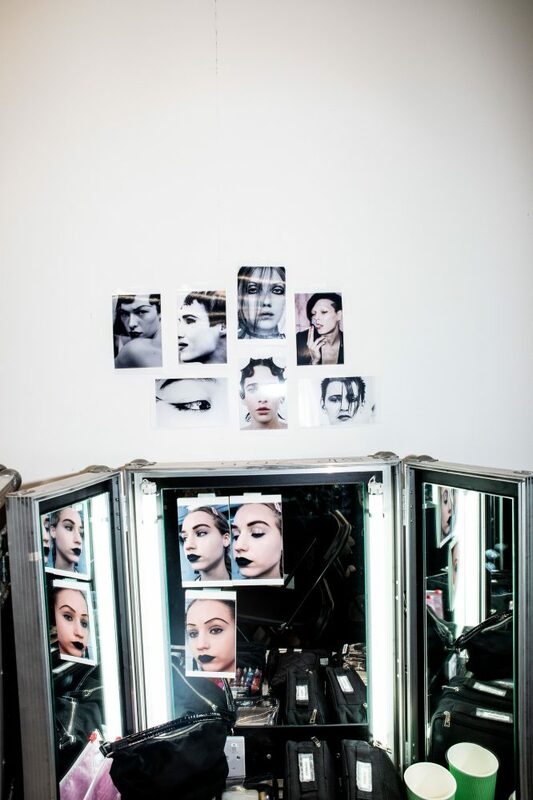 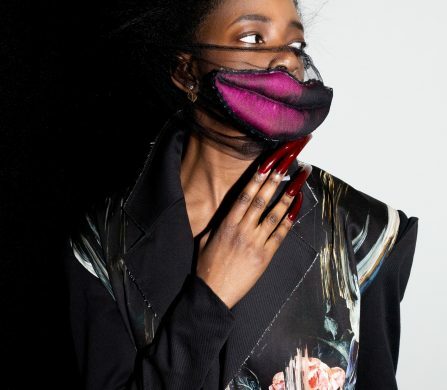 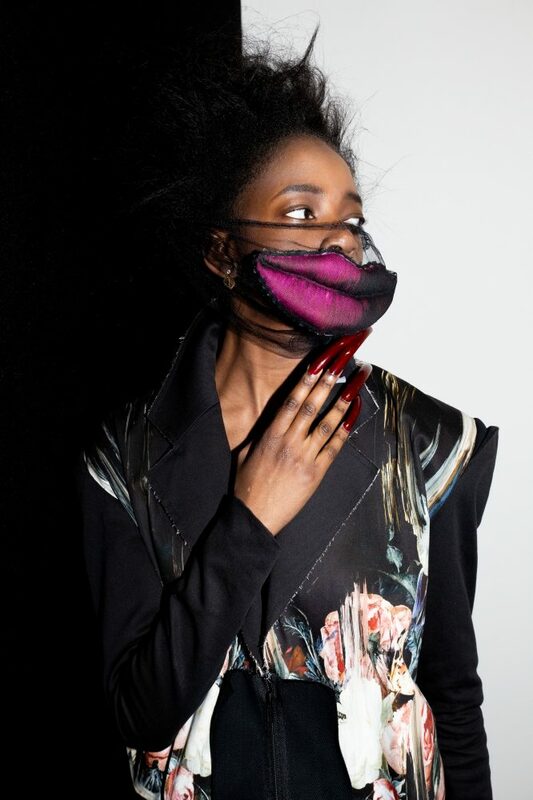 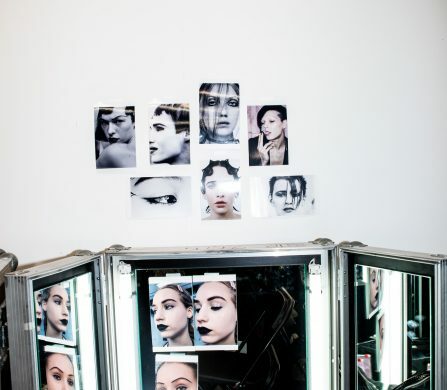 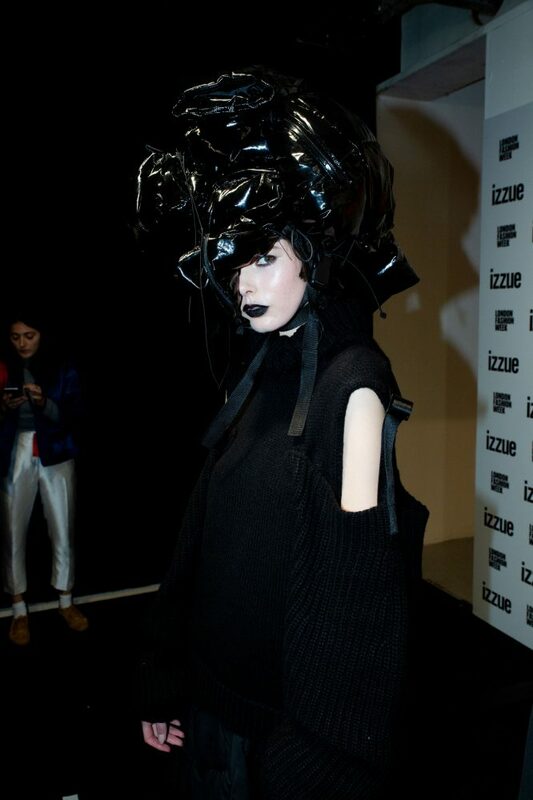 Models wore large fabric lips as they walked the runway, creating an eerie and intense fashion experience. 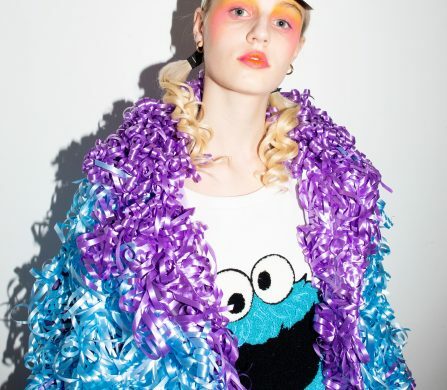 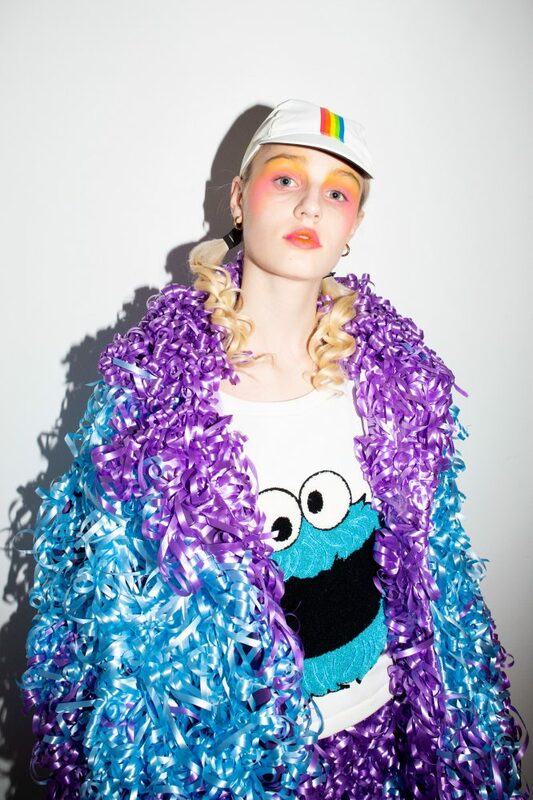 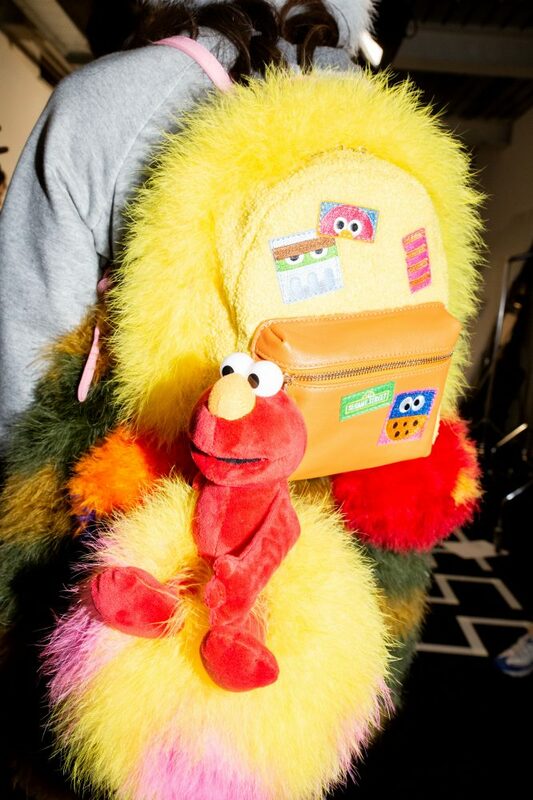 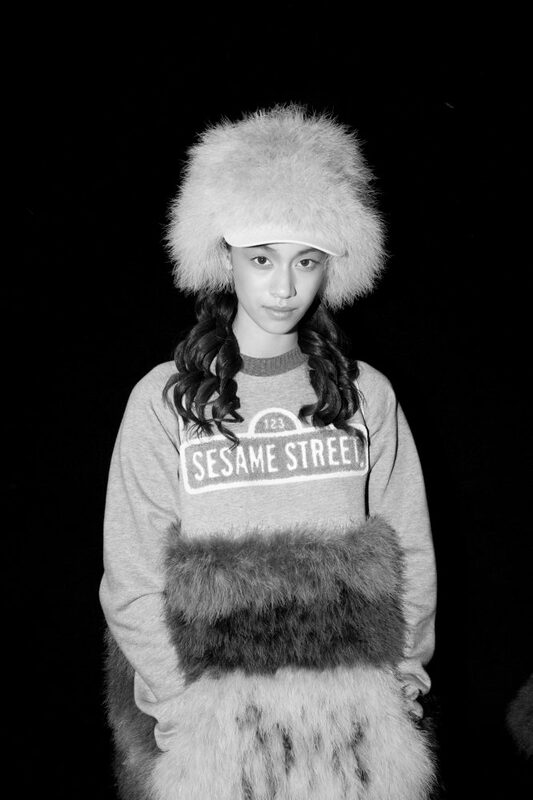 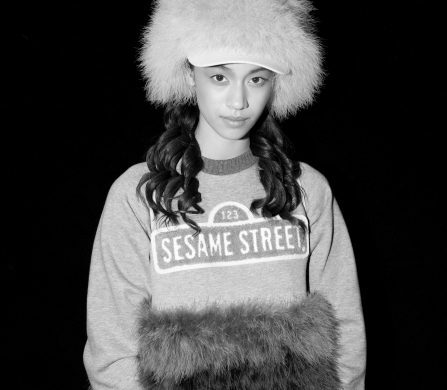 Dutch designer Jimmypaul brought the colour and wonder of Sesame Street to On|Off with a licensed collection. 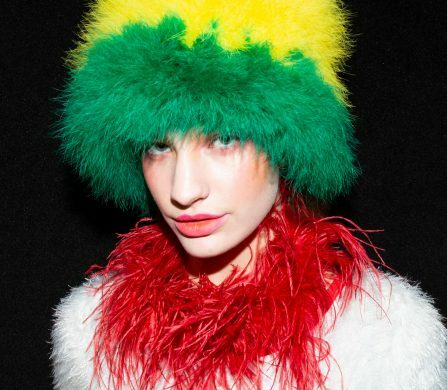 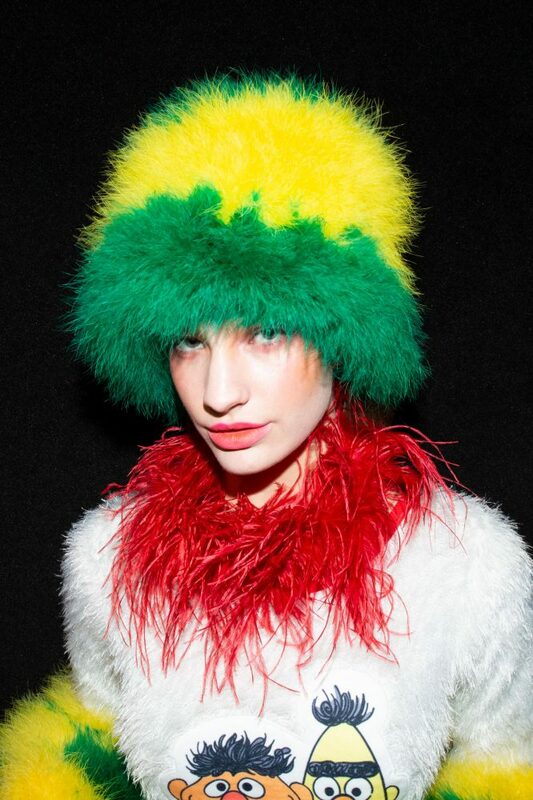 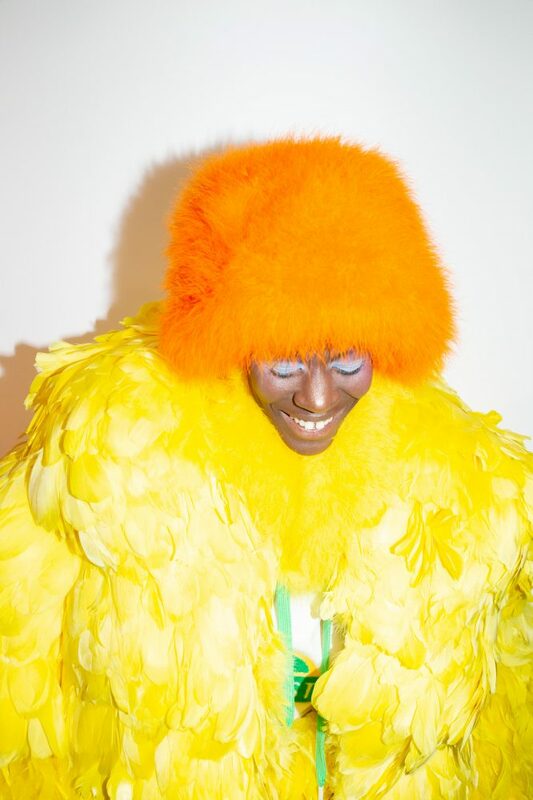 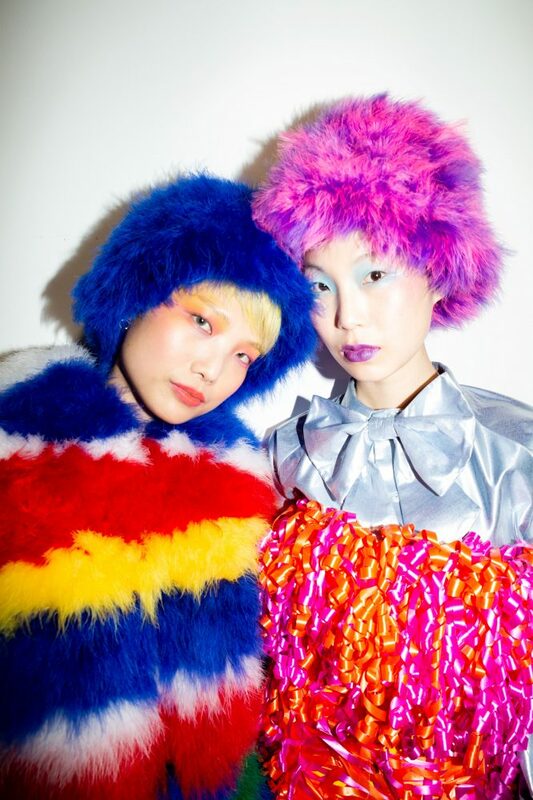 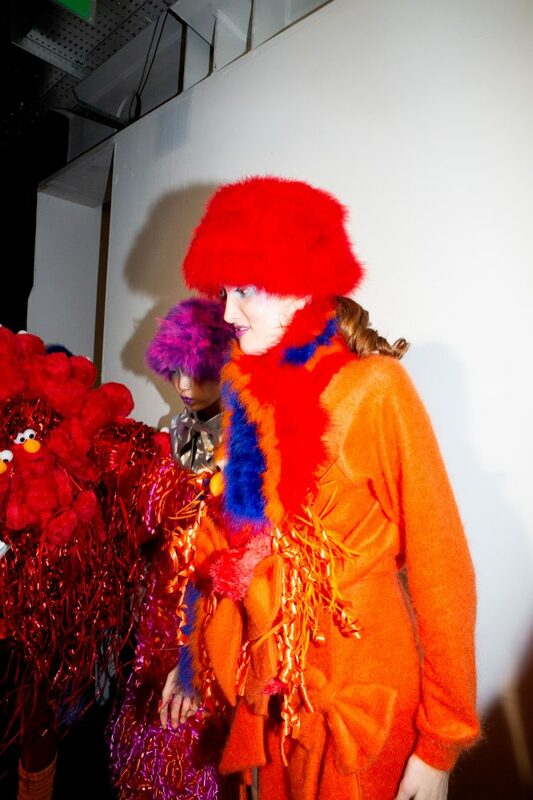 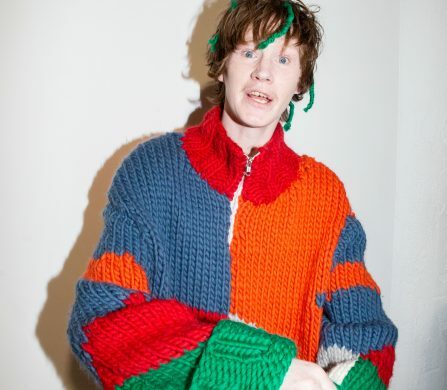 It featured fur, jumpers, hats and more, all blasted with the radiant hues of the children’s’ TV series. 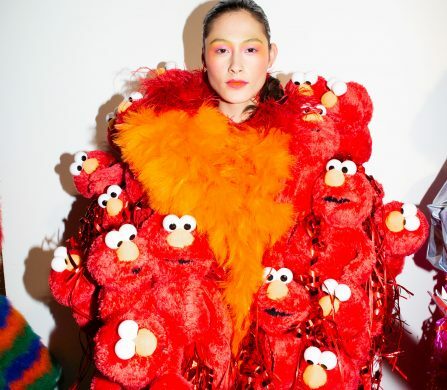 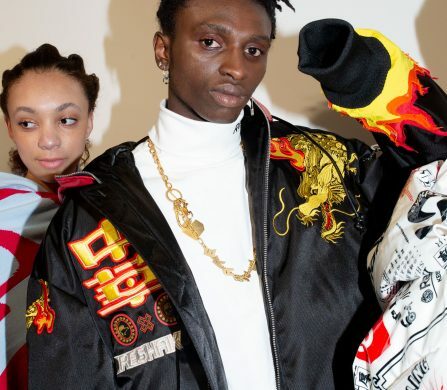 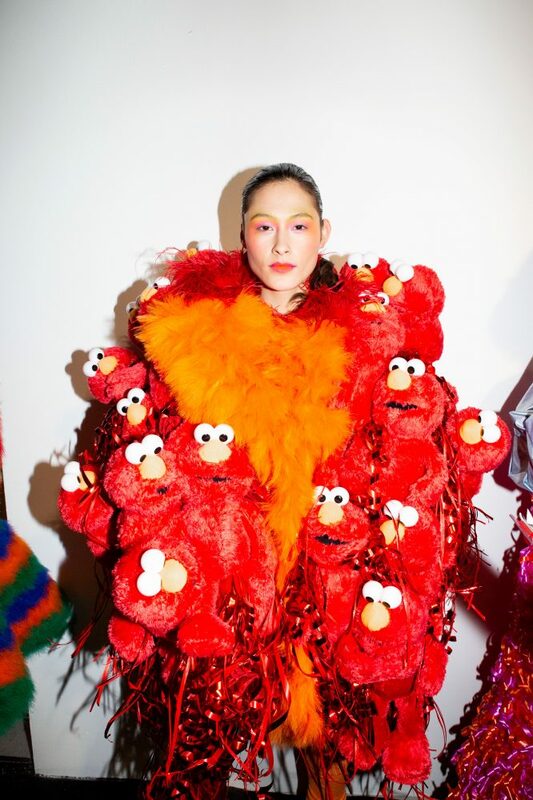 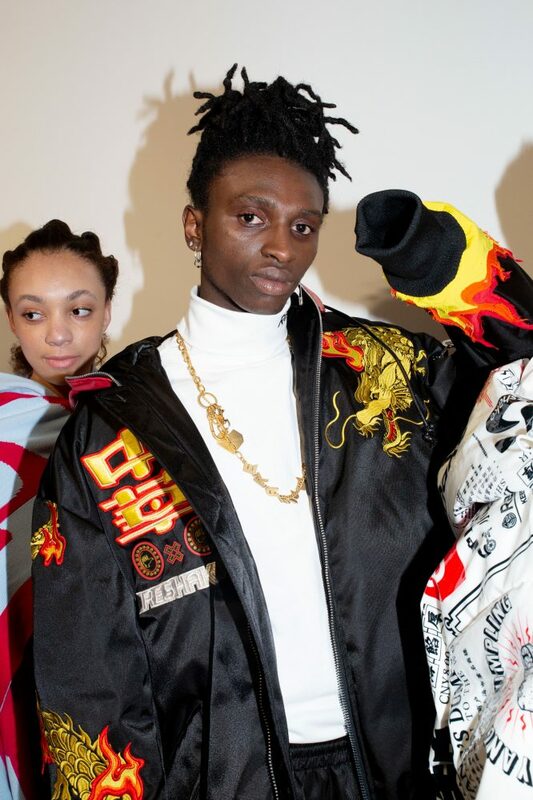 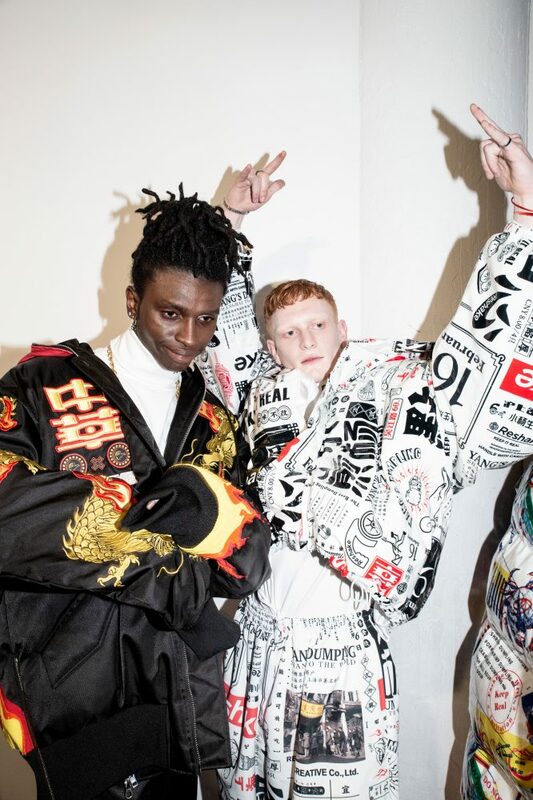 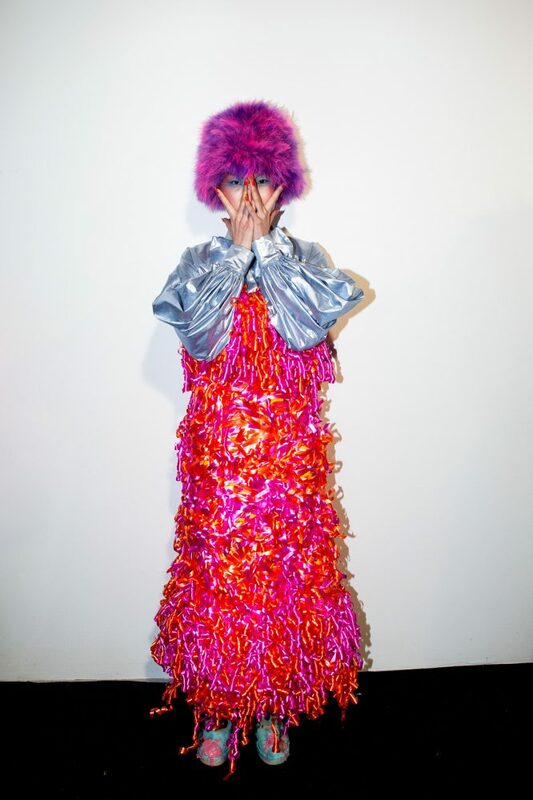 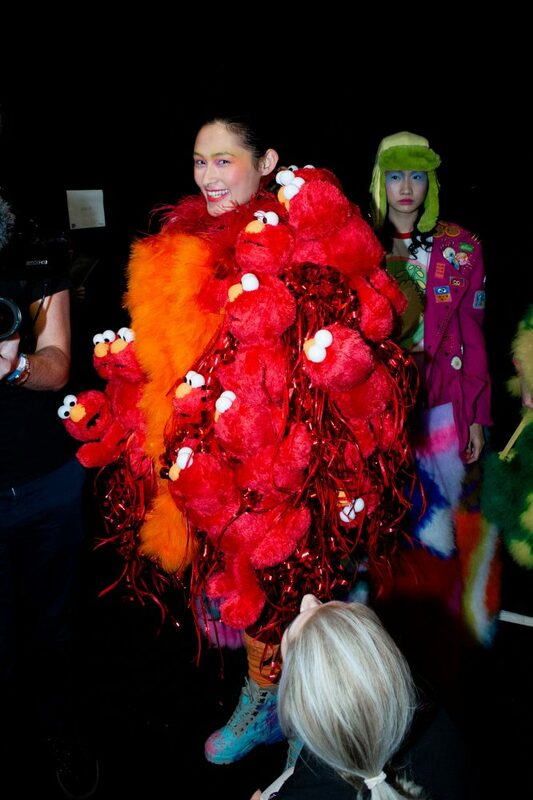 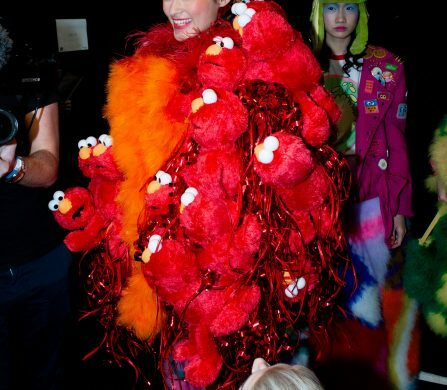 Each piece brought a different character or set of characters to the forefront, culminating with a jacket composed almost entirely of Elmo dolls.